1. Application begins on April 20, 2018. Submission of application as well as code ends at 23:59 (GMT+8) on May 20, 2018. 3. Each team/individual participant can sign up for 3 sub-contests. 6. Please submit your project from April 20-May 20, 2018. Failure to make your submission is regarded as voluntary withdrawal from the contest. 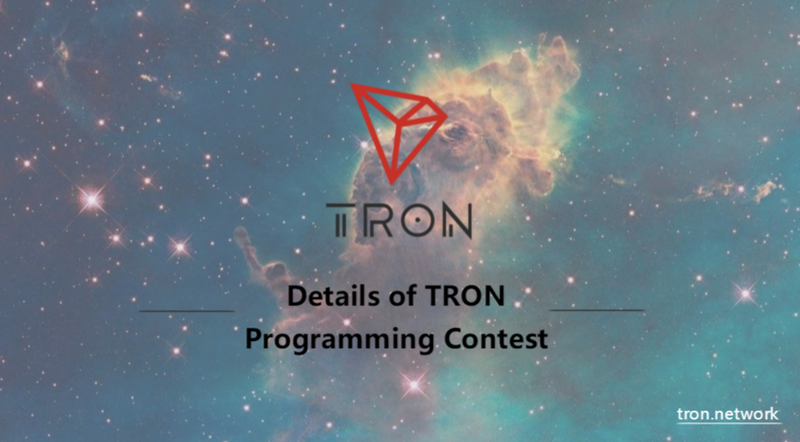 Please file your application for Tron Programming Contest on Tron’s official website.